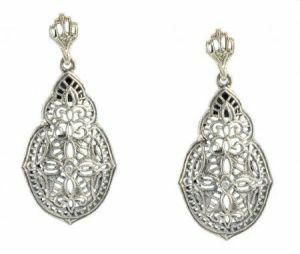 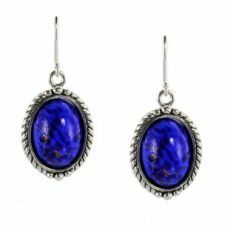 Antique designed earrings with a Victorian Jet Glass Intaglio in a rope bezel frame suspended from ear wires. 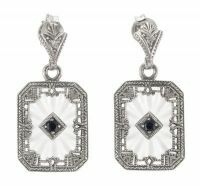 Manufactured to order. 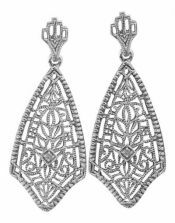 Intricate lattice like filigree work is the background which features a 3.0mm cubic zirconia in the center with a genuine pear shaped sapphire accent. 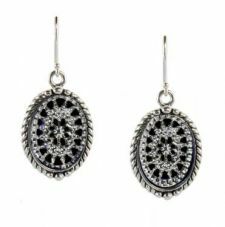 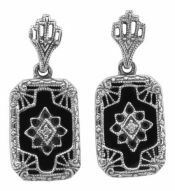 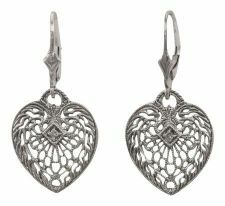 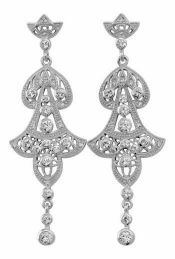 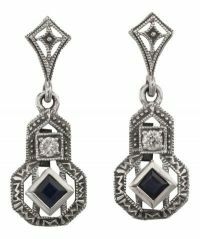 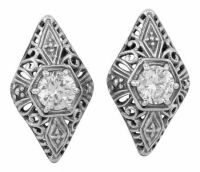 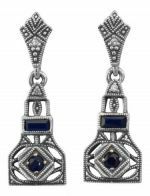 Featuring genuine sapphire & cubic zirconia accents in an Art Deco designed dangle earrings. 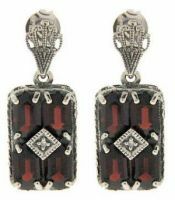 Featuring (4) fancy shaped genuine garnets with a .01 carat diamond accent in a center plaque. 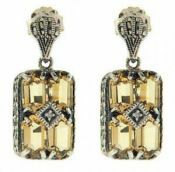 Featuring (4) fancy shaped genuine citrines with a .01 carat diamond accent in a center plaque. 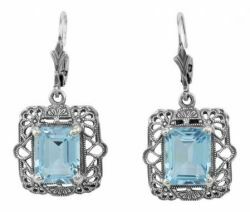 Featuring a genuine square cut sapphire & cubic zirconia accent set in embossed filigree. 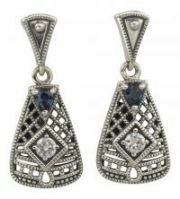 Art Deco style frosted starburst crystal with sapphire & diamond accents framed in filigree.